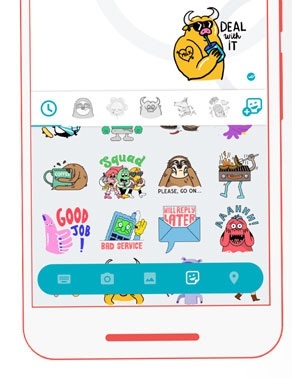 Allo, Google has released its WhatsApp killer recently offering the smart Messenger with built in Google Assistant and it’s free to download for iOS and Android. The functional scope has a lot to offer here. The app can provide, for example, automatic reply suggestions to facilitate you to communicate without a lot of typing. Google promises here that Allo gradually adapts to your personal style and accordingly appropriate, offering "smart" responses. The wizard provides the ability to search specifically information such as weather, travel opportunities and restaurants near and integrate directly into the chat as needed. The majority of Allo features is of course possible because you are logged in with a Google Account and various personalized apps. For private conversations Allo offers also a so-called incognito mode. When starting a new chat you choose simply the option" Start Incognito Chat". All messages sent in this mode are sent with end-to-end encryption and can only be seen from the respective chat partners. In incognito mode, no preview will be displayed in chat notifications in Notification Center. In addition, you can set a time to destroy messages automatically, after that the messages are no longer visible. Google also offers the usual large Emoji graphics and stickers and permits when composing messages to resize the text display as desired. Although the app is being released gradually in the Play Store and App Store, the service is already available in many countries. If you have already downloaded the application, then this step by step guide will help you to create a new Google Allo account. Step 1. Once you open the Allo for the first time, the application will request access to some phone data. Tap "Next" to continue. Step 2. A small window will appear asking for access to SMS, files and device contacts. If you agree, tap "Allow". Step 3. Allo requests verification of your phone number. If the displayed number is correct, tap "Next" to continue and wait. Step 4. After confirming your number, Allo will open the camera of your phone so that you take a selfie to use as profile photo. If you prefer a file image, tap the left side of the capture button icon. Step 5. After you take or select a picture, touch the symbol "seen" to proceed. Step 6. On the next screen, enter your display name in Allo and tap "Next" to complete. Your Google Allo profile is complete. After registration, the application will show how many friends are already in service and also some tips.